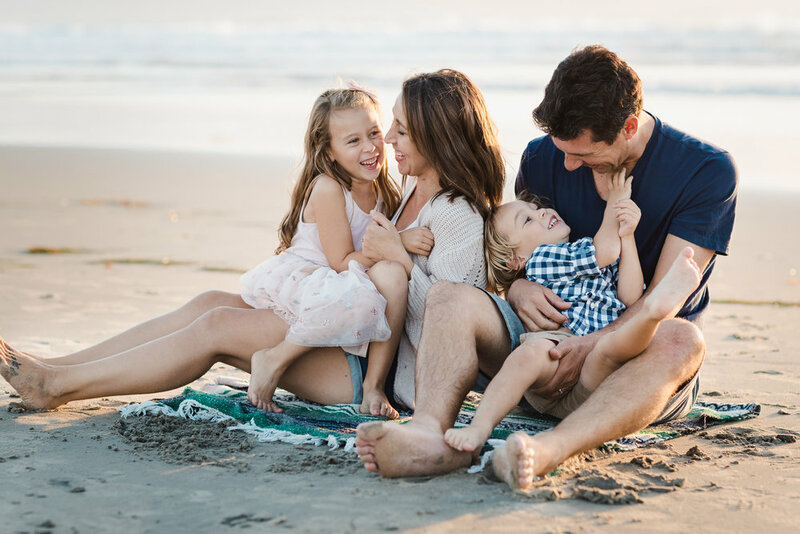 Christine Dammann Photography | San Diego Family, Newborn, & Maternity Photographer— 3 TIPS TO FOR MAKING THE PERFECT HOLIDAY CARD! 3 TIPS TO FOR MAKING THE PERFECT HOLIDAY CARD! When do you start making arrangements for your holiday cards? Are you the type that waits until late October or November to book your photographer? Have you ever had to pay expedited shipping to make sure your holiday cards will arrive to you before Christmas? Are you staying up late, addressing envelopes days before Christmas? The holiday season can be super fun, and festive- but if you don’t plan ahead for certain things you may end up super stressed. So my first tip is to get the process started early! The earlier the better!! You’re going to have enough on your plate come mid December so do yourself a favor and start thinking and planning for your holiday cards WAY before the holiday season. If you are anything like me, you’re probably the one always taking photos of your family and rarely IN them. My belief is: If you’re going to spend money to send holiday cards, send a beautiful, professional photo on them. You deserve professional family photography! And going back to Tip #1 about starting early- Book your photographer early! If you’re waiting until end of October or November to try to book your photographer you may find they don’t have anymore availability until the new year! This is the busiest time of year for family photographers. Personally I reach out to my photographer in June or July to book a date in August or September. That way I have plenty of time to get the images back, order my cards, and get them in the mail right after Thanksgiving without feeling rushed. Side note: If your family is going on vacation [or a “stay-cation!’ like a lot of my fellow San Diegans] you should consider having family photos taken while on vacation. By doing this you’ll get beautiful photographic memories of your special trip AND quality images you can use for your holiday cards! 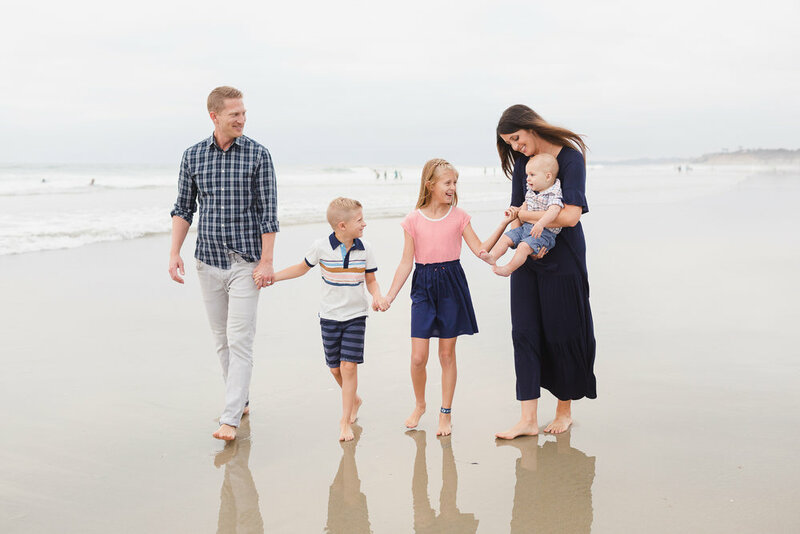 Side note #2: If you’re planning to vacation in San Diego- I’d LOVE to get your family in front of my camera! I want more information about vacation photography! You have the beautiful photos, you’re ready to create your holiday cards, but not sure what site to use? Try Basic Invite! I partnered with them this year and they were kind enough to give me a 20% off promo code to share with everyone!! Use code ChristineDammann at checkout for 20% off! With over 700 Christmas and holiday card designs I found the experience making my card with Basic Invite to be SO easy! As soon as I arrived on their site I loved the clean, look and ease in navigation. Those two things are SO important to me when I’m shopping online. When it comes to paper selection I always go with cardstock. 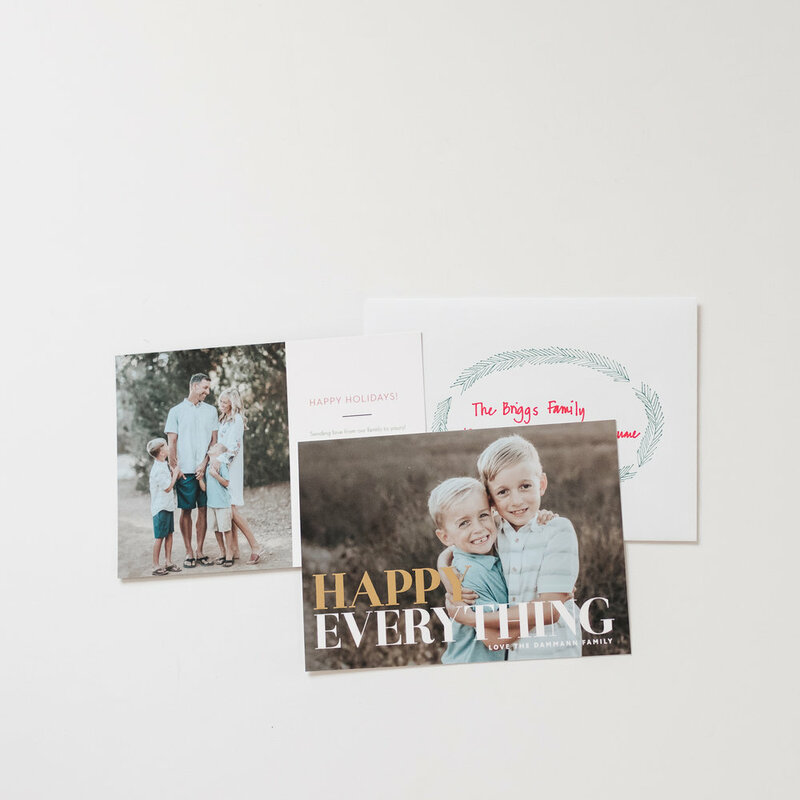 I love the feeling of cardstock over photo paper and since I keep holiday cards as momentos each year I don’t mind paying a little extra for them to be on beautiful paper. I chose to put a little text blurb about our family on the back of our card and I loved that I could choose multiple text colors, font, and sizes. It’s great that you can customize almost everything to make it your own. The other great thing when building my card are the instant previews! You can make changes and see what they look like. They have almost unlimited colors so you can make sure the card is exactly how you want it down to the littlest detail. OK- THIS is pretty cool! Simply share a link on social media to request addresses for family and friends. They will be stored in your account and can be selected during your design process. Then Basic Invite can print recipient address at no cost on all Christmas card orders! You can make your card stand out before it is even opened! All their envelopes are peel and stick - so NO MORE LICKING 100 holiday card envelopes - THIS IS HUGE!!!!! Honestly, for me in years past was licking and sealing 100 envelopes was the WORST part of the entire process! When I love a service, product, or business I want to shout it from the rooftops! Quality products and excellent customer service are important to me. I don’t endorse anything I don’t LOVE. I am so happy with my basic invite experience I wanted to spread the word so hopefully some of you can be as thrilled as I am. :) Try them out and let me know how your holiday cards turn out. Better yet- send me one! And if you’re not in the market for holiday cards but need other cards in the future [custom wedding invitations perhaps?] keep Basic Invite in mind. Photos for my holiday cards taken by Tarah Sweeney Photography.